Ready to live the 'beach life'? 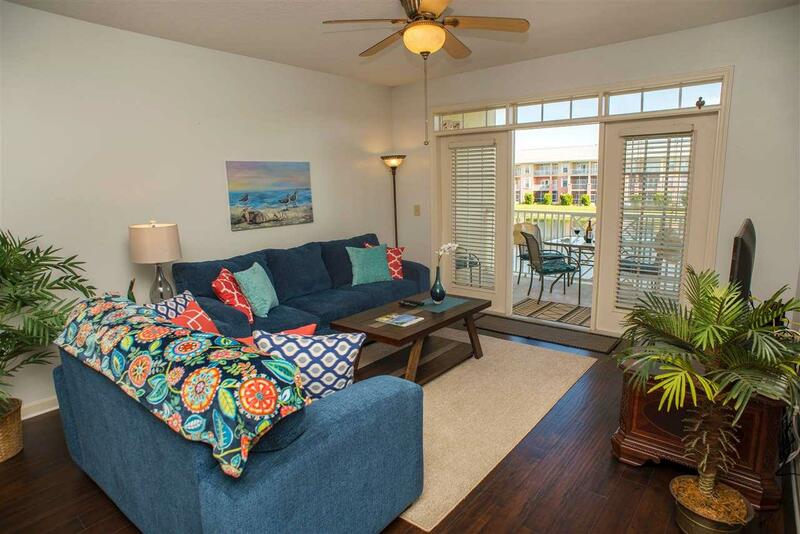 Located in St. Augustine Beach, this charming beach condo features open living with kitchen overlooking dining and living spaces. 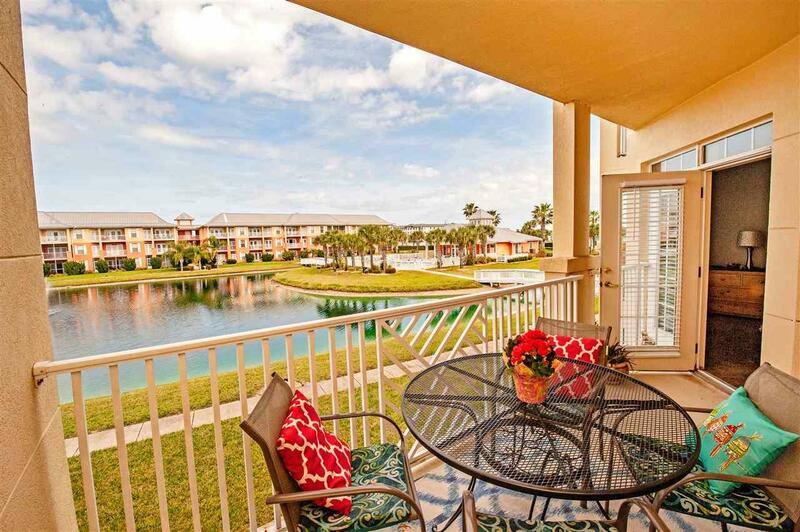 You will be drawn to the covered porch with expansive views of the community lake. Perfect for morning coffee, afternoon beverages or dining al fresco - the porch will be your 'go-to' spot! Guest bedrooms are tucked away from the peaceful master retreat which features en-suite bath with separate soaking tub and shower plus large walk in closet for all your storage needs. With in unit laundry, keeping up with the swimsuits will be a breeze. 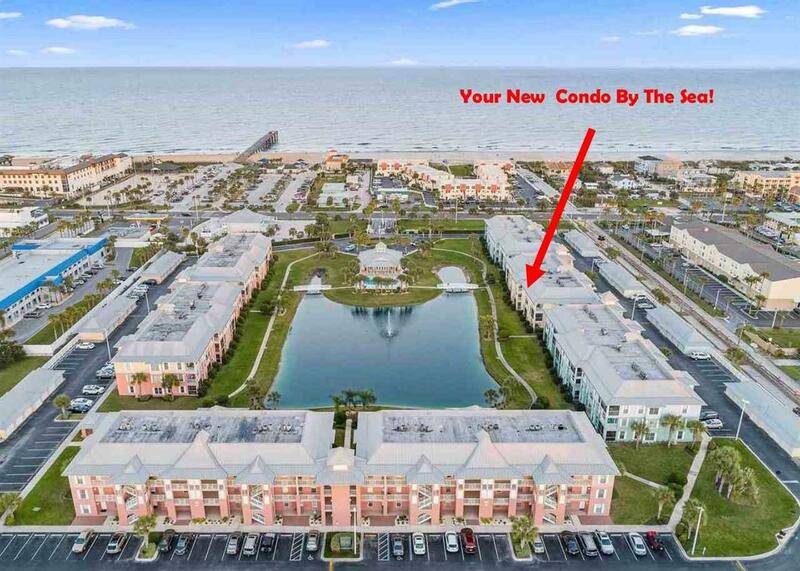 Perfectly situated on the north end of Anastasia Island, the unit is just steps to pier park, beach, restaurants and shops. This fully furnished unit will make a great investment rental property! Recent improvements include: Dec 2017 - Kitchen appliances / flooring / granite; Sept 2018 - Smart thermostat and keyless entry; Jan 2019 - Hot water heater. The community offers resort style amenities such as: pool, work out area, community club house, gated entrance and on-site management.